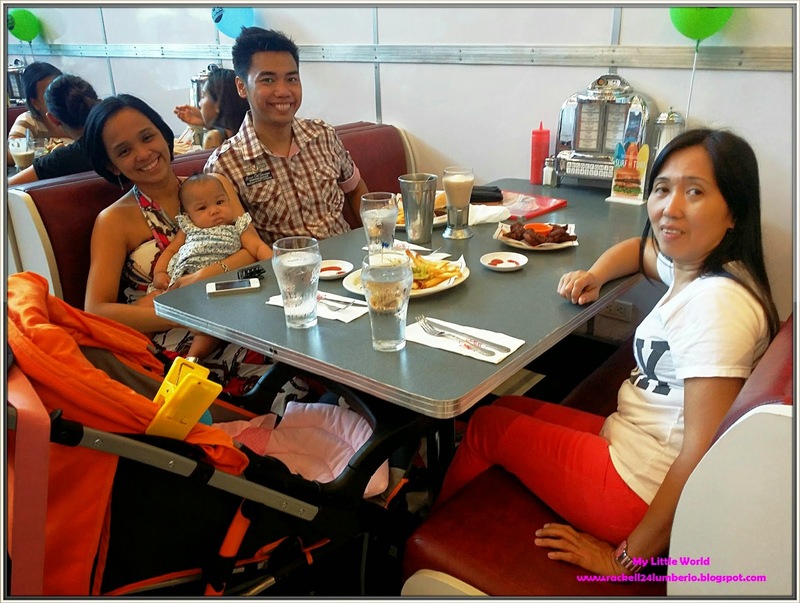 After our photoshoot at Baby Shower in Alabang, we opted to have our merienda at ATC. 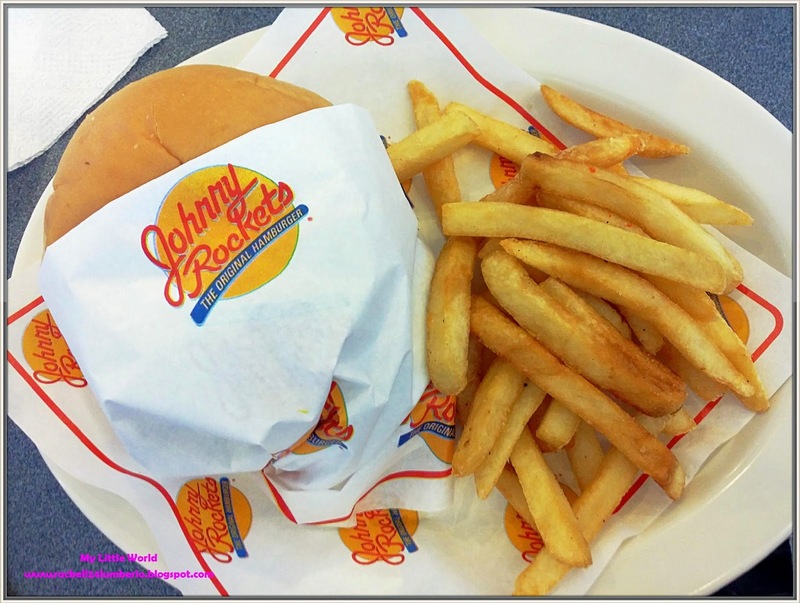 Napagod kami kakapatawa kay Rhian eh narin and since we don’t have enough energy to stroll around the mall, I told my husband that we should tried new restaurant that we saw at ATC that’s why we decided to try Johnny Rocket’s. The crews are in classic white shirt, shorts and hat and to add up to an amazing dining experience, they perform song-and-dance number, so while waiting for our orders naaliw naman kami sa kanila. Well, the dancers have so much energy and always give it their all every time they dance. Mukhang walang kapaguran sila kakasayaw. Hehe. The menu does not have the “diner” price range though kaya medyo hirap kaming pumili kasi super mahal. Haha. #akonaangkuripot. Buti nalang at si Ian ang pinapili ko, or else baka mag mineral water nalang ako. Haha. My husband ordered for Rocket Fuel. 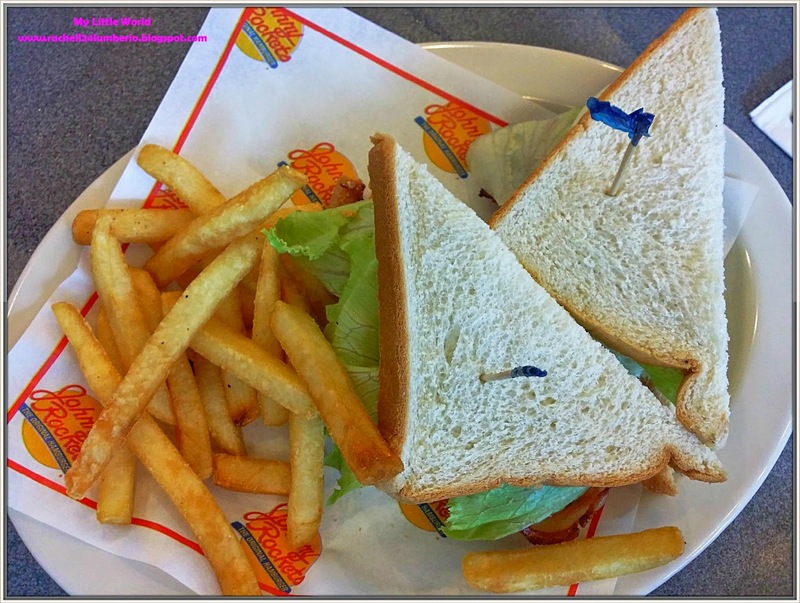 The servings were huge which includes cheddar cheese, fresh lettuce, ripe tomato, onion slice and special sauce. Their hamburger patties are a full 1/3 pound of fresh, 100% pure imported ground beef seasoned and grilled tenderly. He ordered Club House (Bacon/Lettuce/Tomato) for us. It consists of crisp, thick bacon, fresh lettuce, ripe tomato and mayonnaise. The food was great and the serving was enormous but for the price it becomes very unattractive. Nagkukuripot na naman. Hehe. Ian adds Rocket Wings Solo, a tasty and tender chicken wings served with choice of their specialty sauce. We chose Sweet Barbeque. 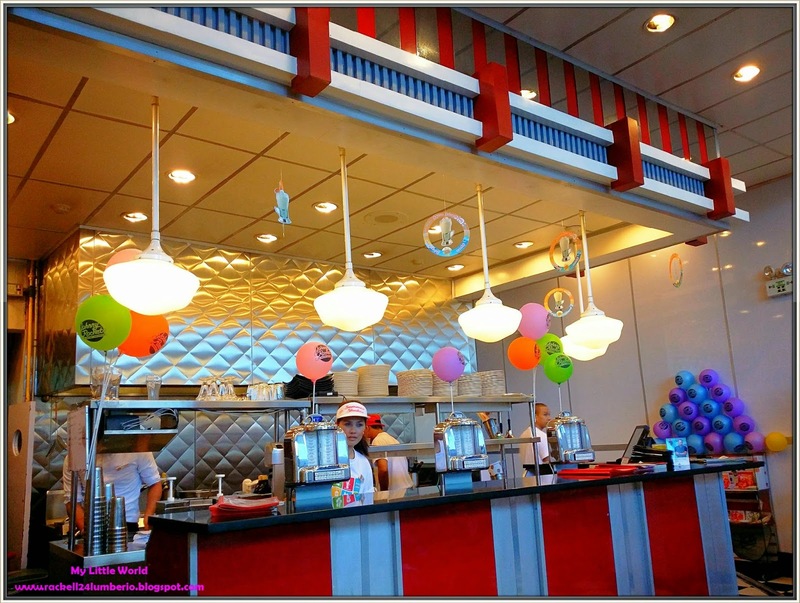 What’s a visit to a diner without milkshakes, right?! So my husband ordered for Chocolate Banana Shake. 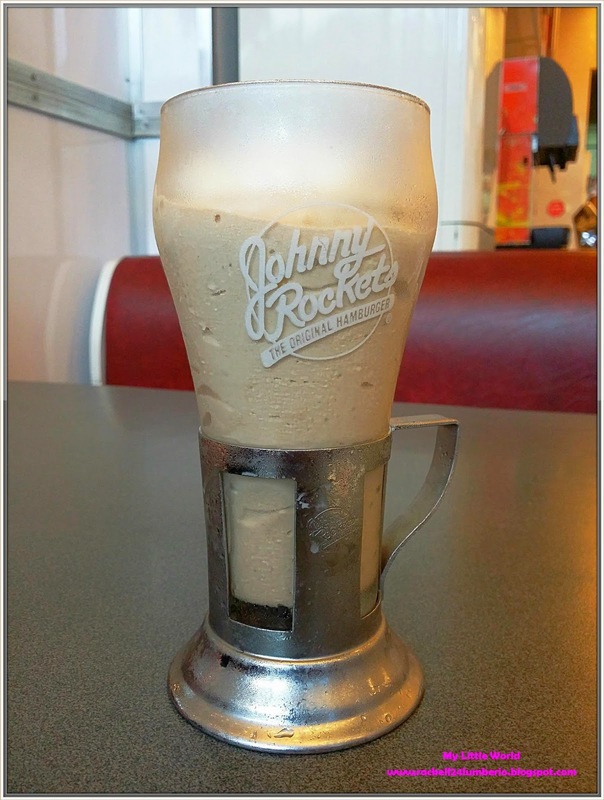 Their shake was made with premium vanilla ice cream and malts are blended with real powdered malt. For Ian, it was the best tasting milkshakes that he ever had. Well, for me the taste was actually very good. It’s creamy, thick and tasty; it’s something different and new that you might want to try out for yourself. 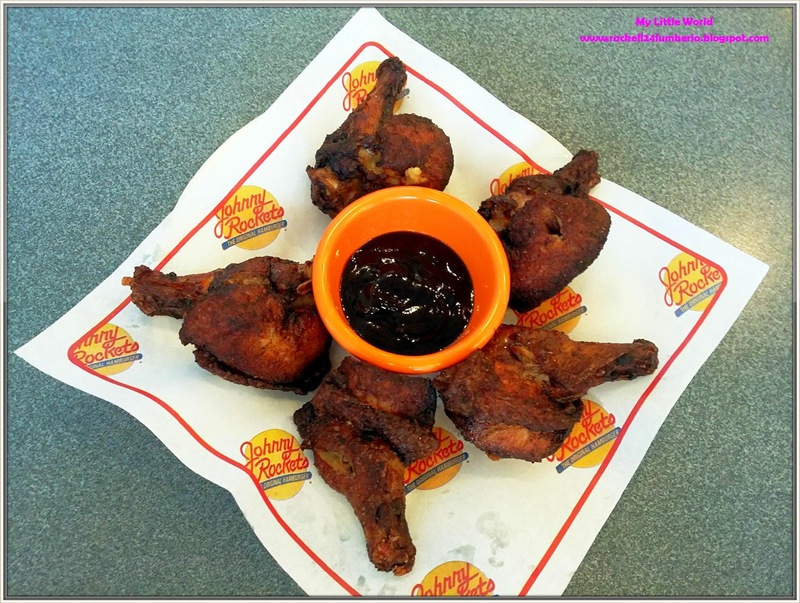 A piece of advice, if you’re planning on dining at Johnny Rockets make sure you have enough budget in your pocket. Medyo pricey kasi eh, good thing I just received my incentives that week kaya pasok sa budget ko yun. Hehe. Well, I believed in the phrase of “you get what you pay for”. Hihihi! Ang expensive nga jan Mommy Rackell ha! 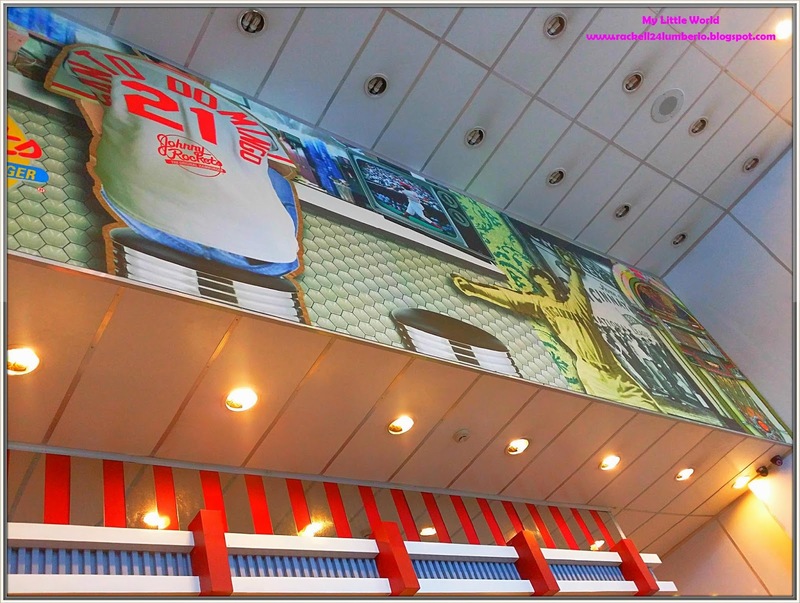 I hope I can try this one too.. mga december na para madaming pera. hehehe.